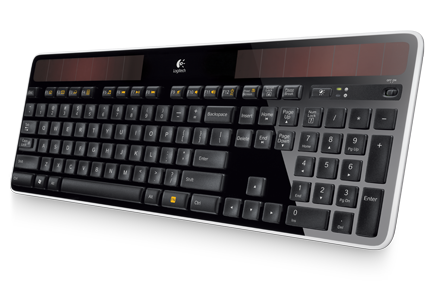 The Logitech K750 is the first solar keyboard built of fully recyclable plastic. The device has a set of solar panels along the top edge and even includes a luxmeter to tell how well things are charging. It charges in sunlight and even under a standard bulb.